Artificial intelligence (AI), virtual reality (VR), machine learning, the Internet of Things (IoT)—these are the technologies fueling business innovation. And as a result, the average IT budget is expected to increase 19% in 2018. However, 43% of small business leaders say they’re keeping budgets flat and 11% are actually reducing budgets this year. This is one of the biggest mistakes we see small- and medium-sized businesses make over and over again. Despite the growing importance of technology for value creation, SMBs see IT as “the help.” Simply put, they view outsourced IT partners as a help desk rather than a trusted advisor. As a result, IT is viewed as a cost center rather than an intricate part of their strategy to leverage innovation to really stretch their small business dollars and resources to do more. Why? Well, price and cost are always at the top of the list, but many owners and small business managers simply do not see IT as a role or duty they fulfill. And for many managers, IT has advanced at such a rapid clip that going from little-to-no technology in the 80’s to a full-0n IT stack that comes up as a budget line item is still a tough pill to swallow. Innovation must be a part of any small business ability to grow and compete. Understanding the relationship between IT, innovation and growth is the foundation to stretching your budgeting dollars and reaching farther with limited resources. No matter the size or maturity of your business, you’re using technology to create value. And the more mature your business becomes, the more you will have to spend on technology. Improving technology can benefit the culture and productivity within your business. However, technology isn’t static—there are always new innovations on the horizon. the more mature your business, the more you are naturally going to spend on technology. It’s just the bottom line. Mature businesses are going to treat a technology budget as an investment rather than an expense. In this blog, we will explore the why and how to budget and plan for innovation and technology that will help you stretch your technology investment and get more out of the resources that help small businesses grow. Step one to building an IT budget it to think about the relationship of IT to your company’s ability to compete and adapt to innovative technologies as a means to perform new and routine duties better and with greater efficiency. This steps often begins with thinking through the tasks and projects that drive business value and can be measured through some type of trackable ROI. To demonstrate, we will offer up a real-life example that zero1zero Innovations faced. As a small business, we were challenged with getting in front of a bigger audience and establishing brand name recognition. We did not want to spend the additional dollars on resources to execute and technology to track; like many small businesses, we first looked at executing these tasks in-house (use what you’ve already got). We tried to do it on our own. Our in-house efforts were inconsistent, ineffective, and impossible to measure for ROI. After some thought and consideration around the points in this very blog, we decided to outsource our marketing efforts to an expert who knows our industry, could execute consistently and would use technology execute efficiently while tracking performance through technology to accurately pinpoint our return on investment. Now, we’re spending money on marketing automation and analytics, hiring talent, and directly engaging with business leaders who need the services we provide. The only way we could make the transition to getting more from our technology investment was to plan, budget and determine which processes would benefit from technology as a means to innovate and get ahead. Without an IT budget, you aren’t tracking the money spent on technology across your business. You certainly can’t improve ROI this way. As technology drives business innovation, putting an IT budget in place helps you identify areas of improvement and make small incremental changes that actually boost ROI. Similar to our marketing example above, we track costs and make incremental tweaks to our marketing process to improve ROI. Today’s small business does not have to produce a large cash outlay to invest in the right technology. Software as a Service (SaaS), cloud technology and IT outsourcing make your initial investment easier to adjust to overtime with the ability to track performance and make adjustments along the way. An administrator or operations manager who performs several types of duties is using an older laptop. Replacing IT equipment only at failure comes at a much higher cost. But when proactive maintenance is built into your budget, you could plan repairs and service to minimize business disruption. When you don’t budget for IT, you run the risk of pushing technology beyond its limits. As tech vendors release innovative new products, you continue to miss out on new features that could potentially help you stand out against competitors. The next step after changing your mindset about IT budgeting is to actually create a formal plan. For SMB leaders accustomed to seeing IT budgeting as someone else’s role, this can seem easier said than done. As you dive into IT budgeting, keep these key dos and don’ts in mind. Just because you’re setting a formal budget doesn’t mean IT is going to become an ever-growing expense. It’s actually the opposite. Going through the IT budgeting process gives you an opportunity to gain full visibility into technology spending. Then, you can take that knowledge and minimize your overall IT costs through a combination of effective purchases, established service agreements, and well-thought-out strategies. You may choose to increase IT spending over time, but your budget will ensure any additional spending meets your growth objectives. Like in so many other aspects of your business, balance is key to IT budgeting success. Making it too complex by accounting for every dongle and USB cable under the sun will cause problems. At a certain point, budget visibility delivers diminishing returns and you end up with a level of inflexibility that hurts your business as a whole. Be careful not to swing the pendulum too far the other way, though. When an IT budget is overly-generic, you won’t gain any of the benefits this process should provide. We offer our 8 Line Items in a Small Business IT Budget for download or look for a partner who can provide all your IT services for a set monthly price. The real key is to find the perfect balance of detail, so you know where your money is going as you invest in technology. While proactive budgeting can alleviate the damage of IT emergencies, you still need to plan for potential disasters. A portion of your budget should be set aside for IT disasters, whether they’re from weather-related incidents, cloud computing outages, or anything in between. No one wants a surprise bill for tens of thousands of dollars just to get a server back up and running. Just like the technology across your business, the IT budget should be a living resource that changes alongside business priorities. The resources you need today won’t be the same two months from now as you mature—give the budget room to grow accordingly. To make life easier, consolidate data from multiple vendors into a single planning environment. When data points are under one umbrella, you have the visibility necessary to make changes throughout the year. Changing your mindset regarding IT budgets is great, but actually building out an effective IT practice is another matter. It’s okay to ask for help. At Zero1Zero Innovations, we know that small businesses are often over-burdened with in-house IT management. Maintaining, updating, and integrating technology can be a full-time endeavor, taking your focus away from business operations. These are the reasons that so many SMB leaders forgo any sort of IT budgeting. But you don’t have to. Get More from IT Investments: Expert attention to networking and IT systems means you get seamless productivity across all systems. It also means you’ll never experience the effects of systems that have overstayed their welcome in the data center/IT environment. Proactive budgeting and maintenance mean you can get more ROI for the spending dictated by your IT budget. Learn from Our Experience: There are so many innovative solutions on the market that budgeting can become overwhelming. Take advantage of our team of IT experts who have spent the last 19 years making tech work more efficiently and effectively in the office environment. We’ll help you plan and budget for the right solutions. Stay Ahead of Security Disasters: Data breaches can completely derail SMBs. The costs of disruption and recovery are often too much to bear. But with our expert budgeting and planning, you’ll have the IT support needed to keep your company name out of the cybersecurity headlines. 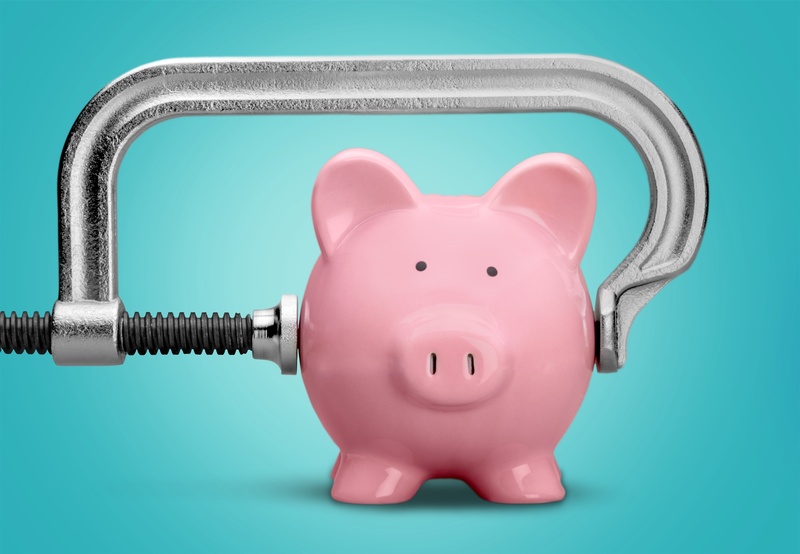 Enjoy Pain-Free Pricing: If you haven’t planned and budgeted for IT in the past, it can seem like costs are limitless. But with Zero1Zero Innovations, you pay a fixed, flat monthly fee that covers design, implementation, monitoring, and management of the entire IT infrastructure. Even if you’re trusting another company to help budget for IT, you shouldn’t experience any pricing surprises.